Hello, Thursday! This week is flying right by, isn’t it? 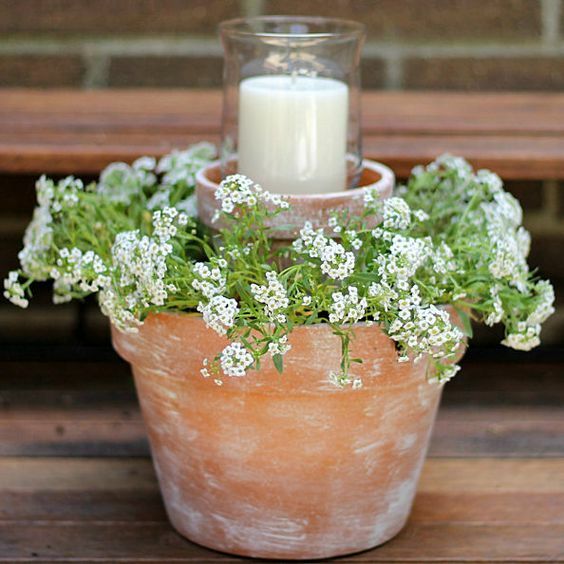 We’ve been blessed with some great weather this week, but unfortunately the pollen is still a factor so I haven’t made much progress on outdoor projects. I DID get some weeding and cleaning up of the flower beds done though. 🙂 And we’ve set out our hummingbird feeder — it’s early for them, but who knows? 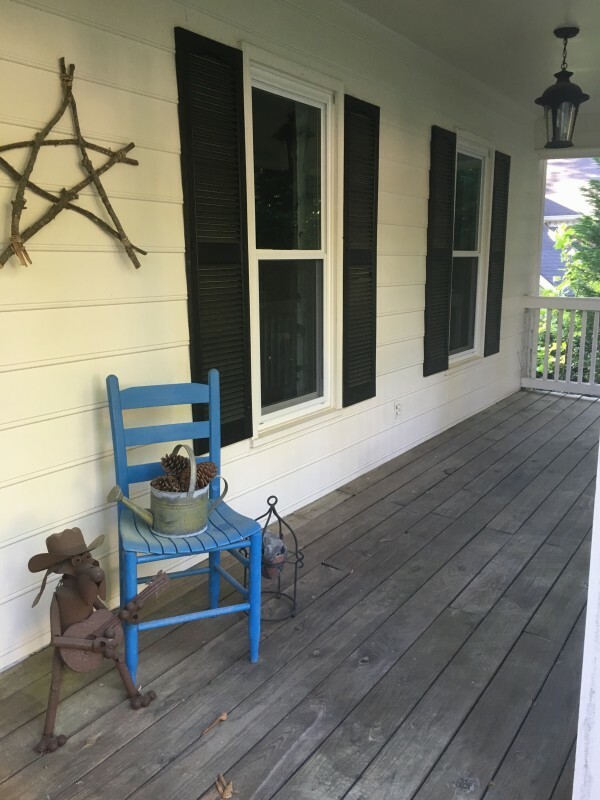 What I REALLY want to tackle though is our front porch and back deck… we love our outdoor living spaces and put them to good use during spring, summer, and fall, so I’m anxious to get those ship shape for the season. 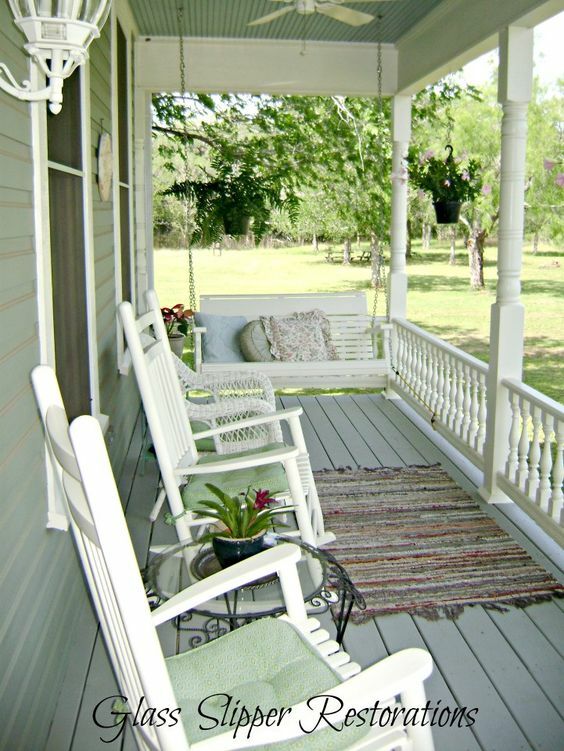 My front porch is a sad state of affairs these days… just keeping it real for y’all! But I’ve spent a little time thinking about what I’d like to do out there — I like to change it up from year to year. And with company coming in a couple of weeks, it’s past time to get a plan together. 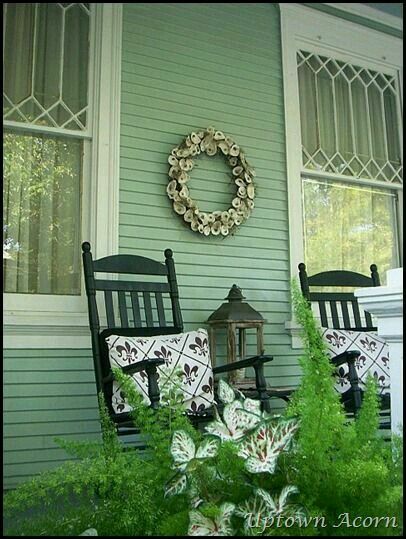 So I thought I’d share some of my inspiration photos that have got my brain churning. 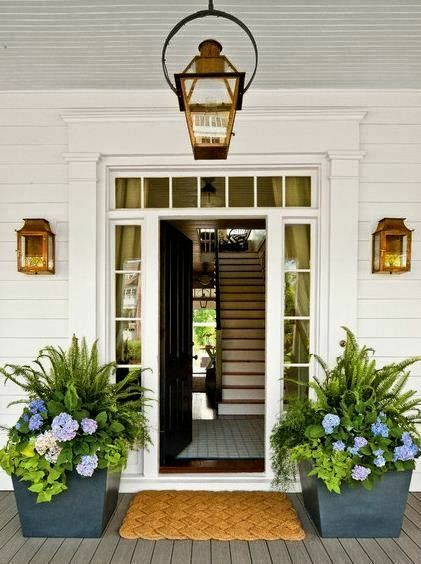 The image above resonates in a big way with me… the layout is similar to my porch and I love the idea of a weathered console table against that wall by the front door. 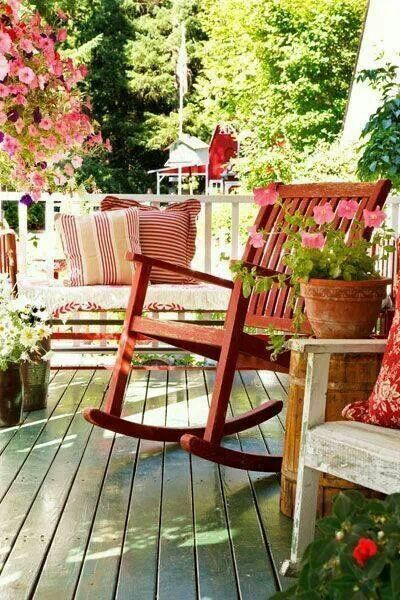 Ok, and if you haven’t figured it out yet, I’m longing for some rocking chairs. 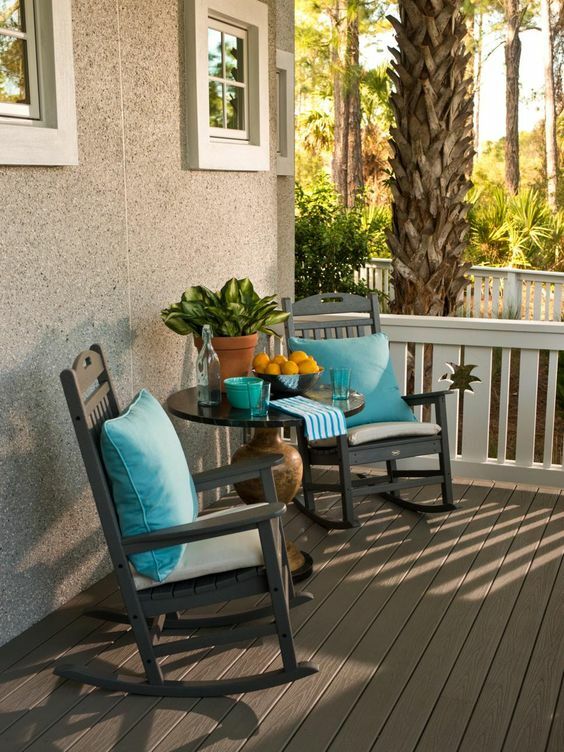 In the past we’ve spent most of our outdoor time on our back deck rather than the front porch. 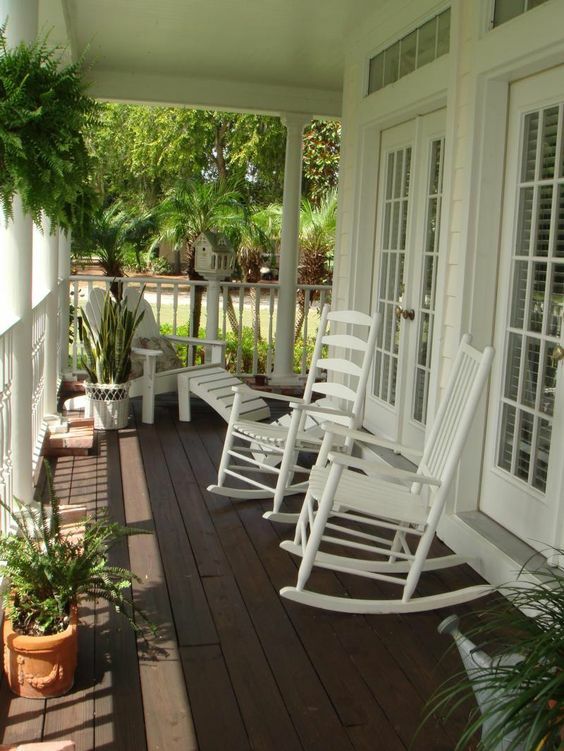 But I’m thinking it would great to enjoy some time on the porch, protected from the elements, as well. 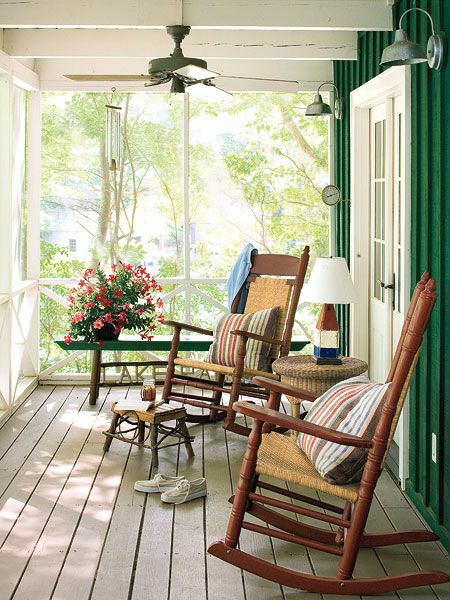 And I’m contemplating a well-placed rug as well…just to make it extra inviting! So that’s what’s got my wheels turning today. 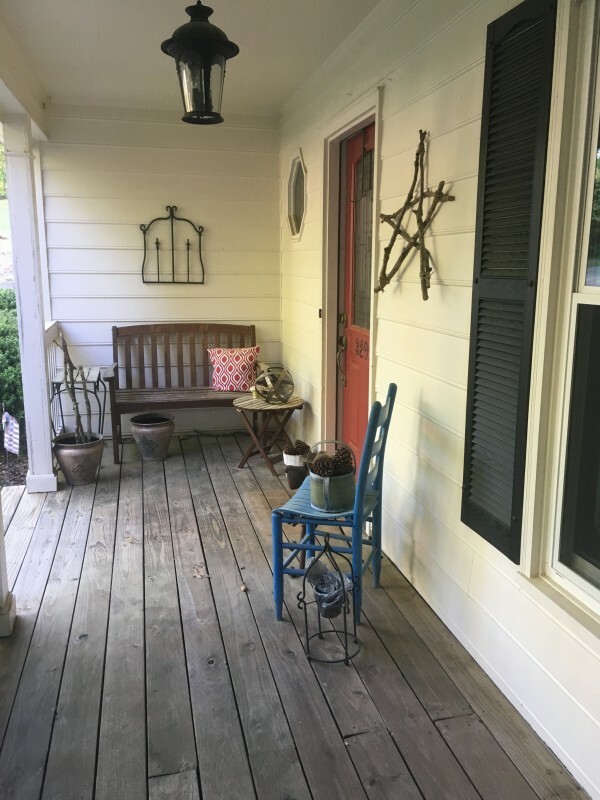 It will probably be a few more days before I can pressure wash the porch, but I can dream and plan in the meantime, right? 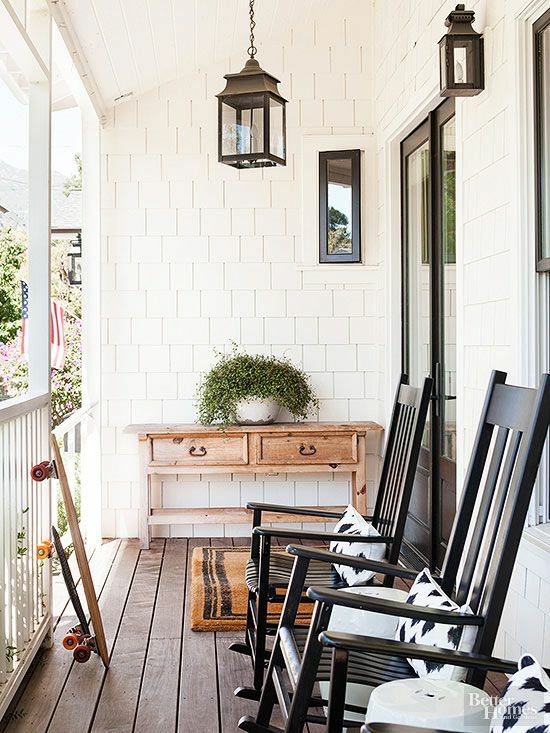 I have an entire Pinterest board of porch and patio inspiration so feel free to check that out. 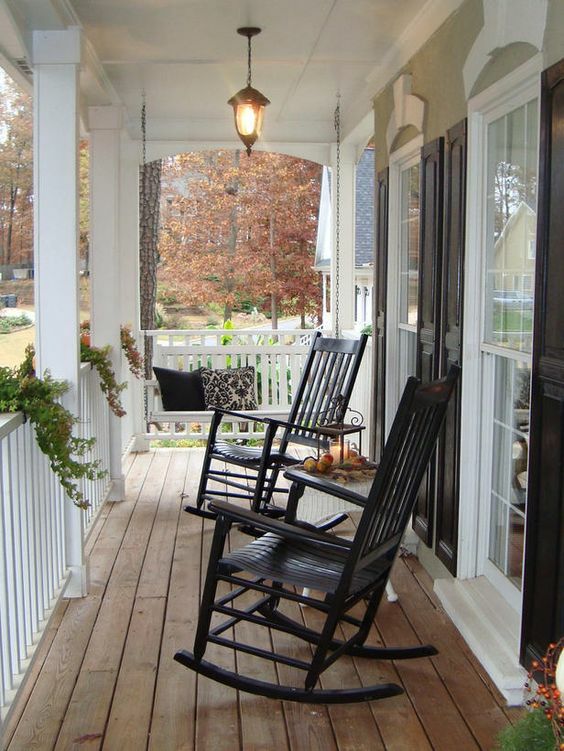 I see a great porch in your future from your inspiration pics!! !